NEW YORK TIMES BESTSELLER An extraordinary insight into life under one of the world’s most ruthless and secretive dictatorships – and the story of one woman’s terrifying struggle to avoid capture/repatriation and guide her family to freedom. As a child growing up in North Korea, Hyeonseo Lee was one of millions trapped by a secretive and brutal communist regime. Her home on the border with China gave her some exposure to the world beyond the confines of the Hermit Kingdom and, as the famine of the 1990s struck, she began to wonder, question and to realise that she had been brainwashed her entire life. Given the repression, poverty and starvation she witnessed surely her country could not be, as she had been told “the best on the planet”? 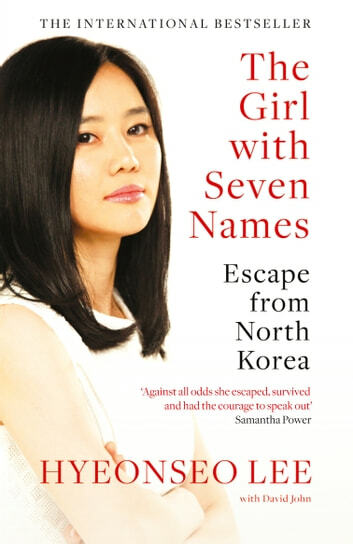 Aged seventeen, she decided to escape North Korea. She could not have imagined that it would be twelve years before she was reunited with her family. This is a really good book. But the synopsis might be a bit misleading. Don't get me wrong, if stuff like that happened to me, I would be all sort of messed up. But there are better books out there to depict the deplorable state of human rights in North Korea. Also, the book could be a bit shorter. There was allot of detail that what's in my opinion unnecessary. But over all, still a very enjoyable book. Wonderful, chilling, exciting and emotional. Highly recommended. And catch the TED broadcast, it is what sold me. A world away from my own this book was hard to put down what a survivor and a true hero Hyeonseo never gave up. Her incredible mother raised two awesome children and i wish u all peace,freedom and joy together. A fascinating and harowing story. A first hand look into life inside comunist North Korea, and what defectors must go through, in order to reach a better life for themselves and their families.